Bunny Runs with Scissors: Hello 50! 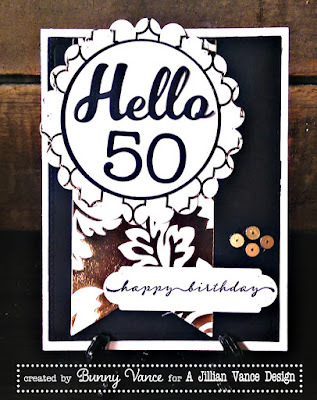 Hello 50! Yes, that was me last Saturday, I hit the BIG 5 - 0! Wasn't that bad actually! So I decided to make a card to commemorate my milestone! Just a simple black, white and gold card!